Buenos Aires | Reuters — Argentine customs agents found about 30 kg of cocaine hidden in a way they had never seen before when drug-sniffing dogs found the drug had been absorbed into grains of rice headed for Europe via Africa, an official said on Wednesday. The bust underscores the role Argentina has come to play as a shipping point for cocaine produced in Bolivia, Peru and Colombia, destined for Africa and then smuggled north to the lucrative markets of Europe. In this case, imaginative drug runners soaked rice in water that had been mixed with cocaine, Guillermo Gonzalez, chief of narcotic investigations for Argentina’s customs agency told Reuters. When the water evaporated, he said, the rice was left invisibly “impregnated” with the addictive stimulant. He said that rather than employing a chemical process to extract the cocaine from the rice once it reached its destination, the traffickers probably planned to just grind the grains into fine powder and sell it as cocaine. “Pure cocaine is too strong to be ingested without being cut with something. 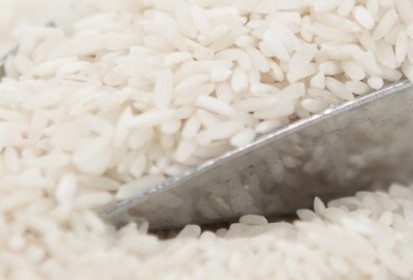 It may have been their plan to cut this shipment with the same rice that was used to carry it,” he added. The scheme was discovered on Sept. 17 when drug sniffing dogs detected cocaine in a cargo of 50-kilo rice sacks at a warehouse in the port city of Rosario. It was kept secret for a week while security agents hunted for more suspects. “The investigation indicates we have to keep looking. We know that these are international criminal organizations,” Gonzalez said. The South American country is a major world food provider. On the banks of the Parana River, Rosario, the birthplace of iconic revolutionary Ernesto “Che” Guevara and soccer phenomenon Lionel Messi, is a point of departure for millions of tonnes of soy, wheat and corn harvested from the vast Pampas grains belt. But international drug-enforcement officials have taken to calling Rosario “the Tijuana of Argentina” for what it has in common with the Mexican border city used to move cocaine into the U.S. Experts say the drug enters Argentina by truck or plane from Andean cocaine-producing countries to the north. The smuggling routes narrow the closer shipments get to Rosario, increasing violent competition among gangs to control the final steps toward the Parana River, which leads south to Buenos Aires and the shipping lanes of the Atlantic. Drug-related killings spiked so high in Rosario last year that federal forces were called in to provide security. — Hugh Bronstein is a Reuters correspondent based in Buenos Aires.